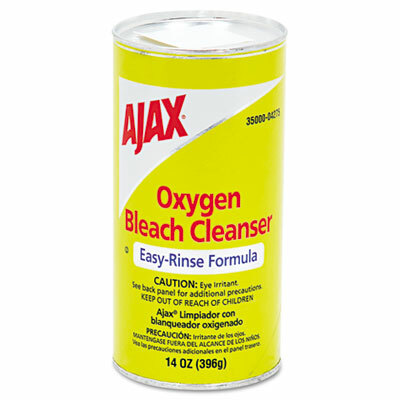 Oxygen bleach easy-rinse formula cleanser is a calcite-based powder. Works in tough cleaning situations where chlorine is undesirable. Use on porcelain, ceramic tile, stainless steel fixtures, and aluminum. Oxygen bleach, easy-rinse formula powder cleanser is calcite-based and non-chlorinated. Works well in tough cleaning situations where chlorine is undesirable. Use on porcelain, ceramic tile, stainless steel fixtures, and aluminum.